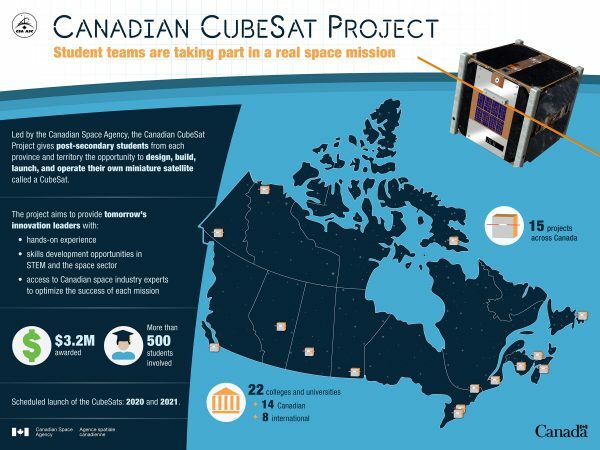 TORONTO, ON Friday May 4, 2018— Today, at an event hosted by the University of Manitoba, Canadian Space Agency (CSA) astronaut Jennifer Sidey unveiled the research teams selected to take part in the CSA Canadian CubeSat Project. 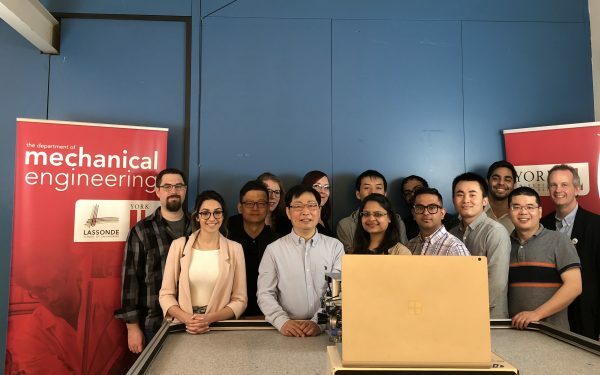 A total of 15 teams from across Canada have been selected to participate in the initiative, including a team of researchers from York University’s Lassonde School of Engineering, led by Professor George Z.H. Zhu, York’s Research Chair in Space Technology. Professor Zhu has been awarded a $200,000 grant to support the project, which will be used to test a Canadian-developed wide-angle camera that observes snow and ice coverage in Northern Canada. The satellite will be sent to the International Space Station in 2020 and then ejected into orbit approximately 400km above earth. Zhu’s team will operate the satellite from the ground station at York’s Lassonde School of Engineering.